Volunteers at Northumberland’s busiest lifeboat station are inviting would-be crew members and fundraisers to join them on Saturday 30 May to learn more about what it takes to be part of their life saving team. The RNLI is holding a Volunteer Recruitment Day at Blyth lifeboat station in a bid to attract extra volunteers to a range of roles. Operational volunteers are needed to help crew the lifeboat, while there is also a requirement for people to help in the lifeboat station shop and with other fundraising activity. 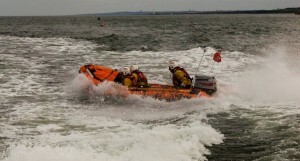 The RNLI’s lifeboat station in Blyth was the busiest on the Northumberland coast in 2014 with 32 launches for its inshore lifeboat resulting in the rescue of 19 people, but with an expected rise in the number of water and beach users in the area, the station will soon undertake a trial of a second, larger, inshore lifeboat. 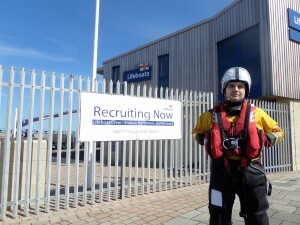 The charity is hoping to attract people from all walks of life to crew both the existing lifeboat and the new arrival: volunteer lifeboat crew member Scott Delf stressed that people don’t need to have sea-going experience to get involved with the RNLI – far from it. He explained: ‘Many years ago, RNLI crew members here at Blyth were mainly fishermen and people who worked in the port. Now, though, with the decline in the fishing industry and a big change in the way people use the sea, our lifeboatmen and women come from all backgrounds. At Blyth, our volunteers include a Pub Landlord, Bus Driver, Sports Centre Manager and a Wind Turbine Technician. – Nationally, only 10 per cent of the RNLI’s new recruits come with professional maritime experience. Scott added: ‘A lot of people who live in Blyth travel out of the area to work every day, including a number of our existing crew, which means we only have a small pool of volunteers to call on during the day. It would be great to find a few more volunteers who work in Blyth and would be able to leave their jobs to respond to a rescue call’. Members of the lifeboat crew and RNLI fundraising volunteers will be at the lifeboat station on Saturday to talk to prospective volunteers. 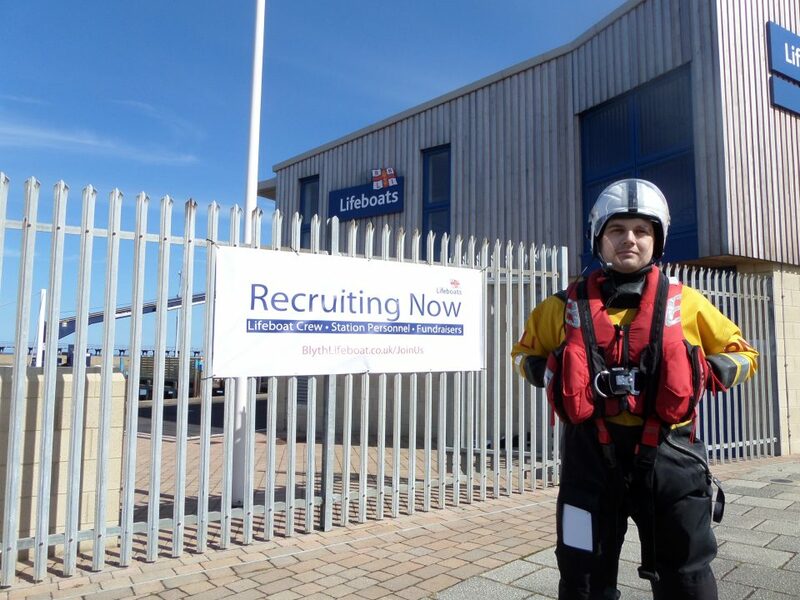 Also attending will be John Scott, RNLI Lifeboat operations Manager (L.O.M) at Blyth, who said everyone is welcome to come along to find out how they can get involved with the RNLI. 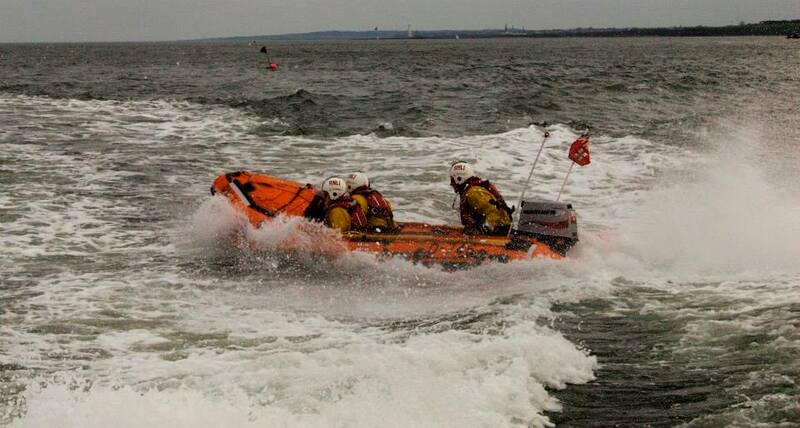 PreviousNisa Blyth has chosen RNLI Blyth as their shop charity.